Ideum designs and creates interactive computer-based exhibits, multitouch installations, rich Internet applications, and social networking sites for museum and Web visitors. We work closely with museums, nonprofit organizations, and socially responsible companies to create memorable visitor experiences. Since 1999, we’ve worked on over 70 interactive media projects in the fields of art, culture, history, music, science, and technology that cover a variety of topics. The goal is to create visitor-centric exhibits that seamlessly integrate a balance of compelling design, intuitive user interfaces, and dynamic content. The projects we develop adhere to the highest technical and accessibility standards. 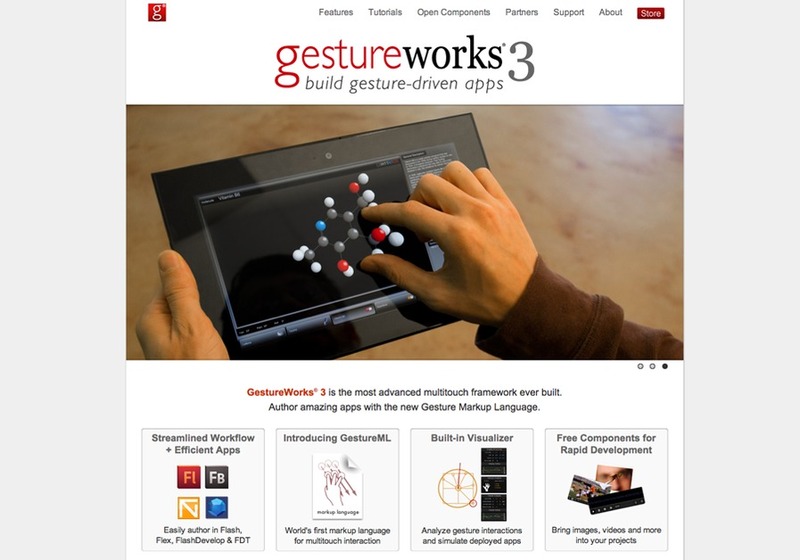 A screen shot of the GestureWorks multitouch software website and store.